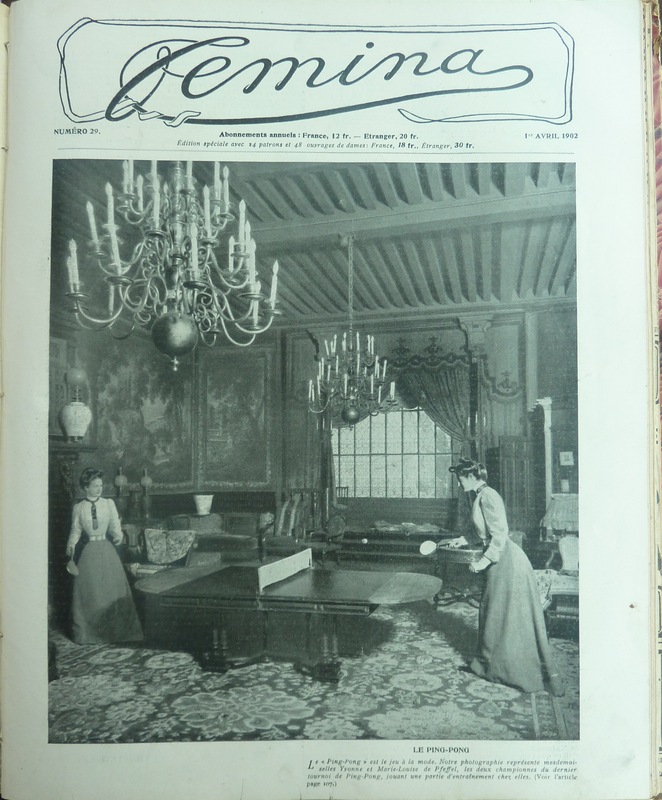 This might just be the most unexpected “sports” image that I’ve come across in my exploration of early French women’s magazines– upper class women playing ping pong in their home in 1902. Of course, these aren’t just any women– they are Yvonne and Marie-Louise de Pfeffel, French ping ping champions. That’s right– long before Venus and Serena, there were sister (table) tennis stars lighting up the Paris circuit!